This post is brought to you by Colgate. Yep, I confess that I've never been that strict with my kids with their dental health. Of course we nag the boys to brush their teeth (and they do!) but that's it—we just nag but we weren’t in the bathroom checking if they were doing it right. So what's been happening all this time was the boys eating their Colgate Spider-Man toothpaste! Plus, after "brushing" their teeth, I allowed them to drink milk. Even though I failed to do my parental duty there, my 5-year-old Vito's teeth were spared. Three-year-old Iñigo's teeth had a different story. So their dentist gave us the instructions above and I'm proud to report we've been diligent about this and their teeth have been looking better. Yey! Those little cavities on Iñigo's teeth was my wakeup call. Dental health is really important, even with baby teeth. We parents aren't so careful with baby teeth because we know they'll fall out anyway. But the kids' dentist warned us that when baby teeth rot away or need to be extracted, the growth of the permanent teeth is terribly compromised. That scared me! So when Colgate invited me and a few other mom bloggers to their “Colgate Healthy Smiles for Healthy Lives” quiz-off at the Seda Hotel in BGC, off I went! True or False: It is best to rinse with a non-alcohol-based mouthwash immediately after brushing. FALSE. While the only mouthwash you should use must be non-alcohol-based, you must not rinse mouth immediately after brushing. In fact, you shouldn't even rinse your mouth. At all! Why? Answer this: What is the active ingredient in toothpaste that protects your teeth? Flouride. Where is this flouride again? In the toothpaste. What happens when you rinse your mouth? You flush away the toothpaste. So where is the flouride now? Down the drain when it should be in your mouth! Remember: Do not rinse! Spit out the foam and the food particles. Then walk away. Walk. Away! True or False: The acidity of your food and drink must be considered before brushing teeth. TRUE. We're all told to brush teeth after every meal. But don't be too enthusiastic. Acidic food weakens our tooth enamel. Imagine your teeth are still recovering from the acidic food and drink you just had and then you assault them with vigorous brushing. Oh my. Your teeth enamel will be damaged! This actually happened to me. My former dentist told me my teeth are soooo clean and yet I had cavities!!! Why? Because I brushed immediately after eating and I brushed with extra gigil pa. My enamel weakened so bacteria had an easier time attacking my (ironically) super clean teeth. The perfect angle to tilt the toothbrush is 45 degrees for optimal reach. And gently sweep the brush down (upper teeth) and up (lower teeth). Always floss! The ideal length of floss is 20 inches. That's enough to take out all the gunk between your teeth. Mouthwash takes care of the spaces inside the mouth that your toothbrush cannot reach. Retain baby teeth or milk teeth as much as possible. As I said above, they play an important role in guiding the growth of permanent teeth. 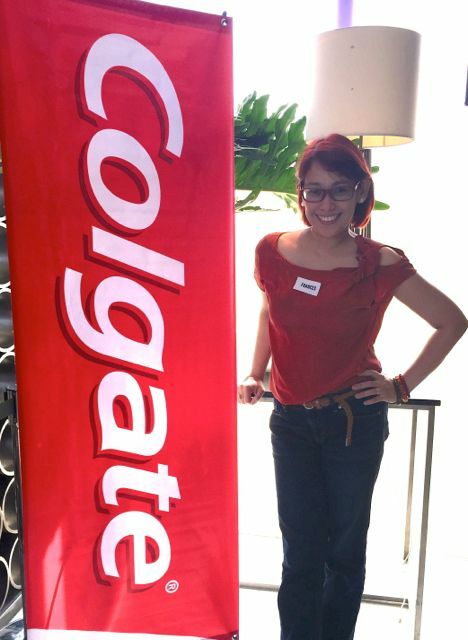 The moms at the Colgate quiz-off had sooooo many questions about how to properly care for children's teeth. In fact, we even told Colgate that they should create infomercials so that these tips will be known by all, or at least by everyone who has a TV. For example, that no-rinse tip. It's so important! But no one knows they're NOT supposed to rinse out the toothpaste! Well, because of this blog post, now you do! 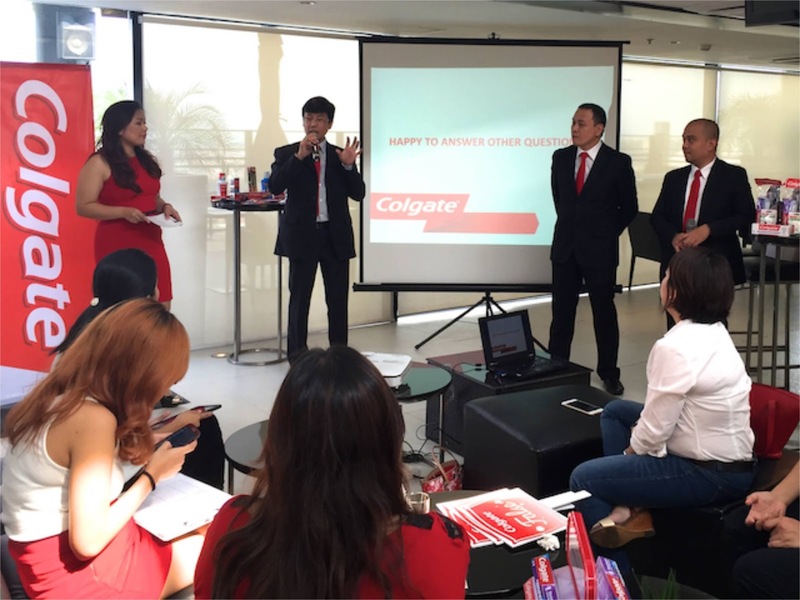 Colgate did a good job enlisting mom bloggers for their efforts to educate parents on proper oral health care for the family. With more and more moms turning online for information (vs traditional sources like their parents and magazines), we mom bloggers have a duty to spread important and science-supported health information! True. 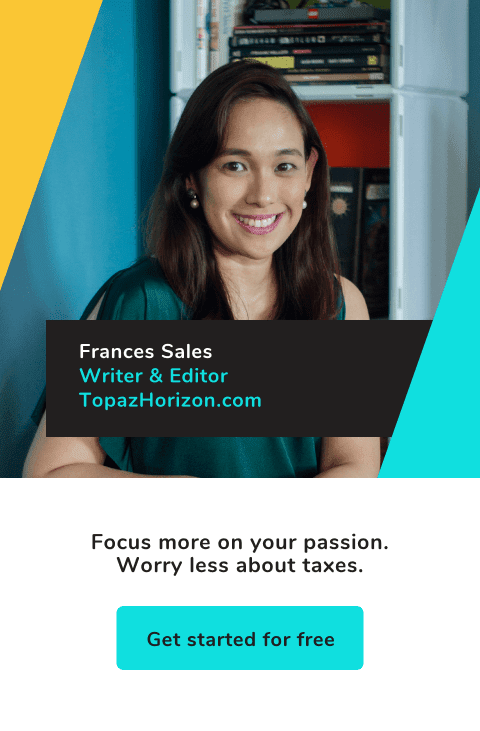 I just had a visit to my own dentist (see this blog post for that sad story) and I was really discouraged that my neglect of my own oral care because I was too tired and busy to be more careful has resulted to a big financial cost. 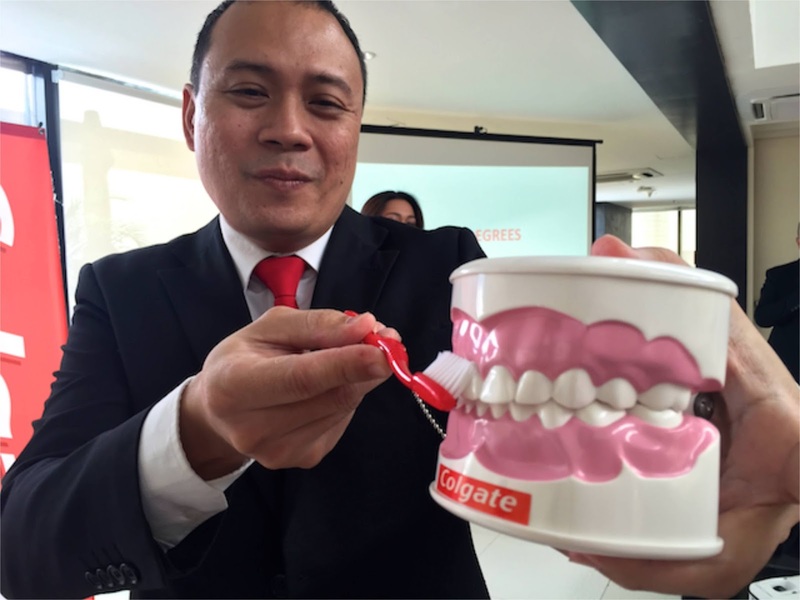 My necessary dental treatments will cost our family budget P111,000—money that could've gone to Vito’s tuition, a trip to Hong Kong Disneyland, or simply to healthy food. I'm so disappointed in myself! That's why I promised that we will be more diligent with our health—everything from careful brushing of our teeth, eating better food, and taking vitamins to exercising. 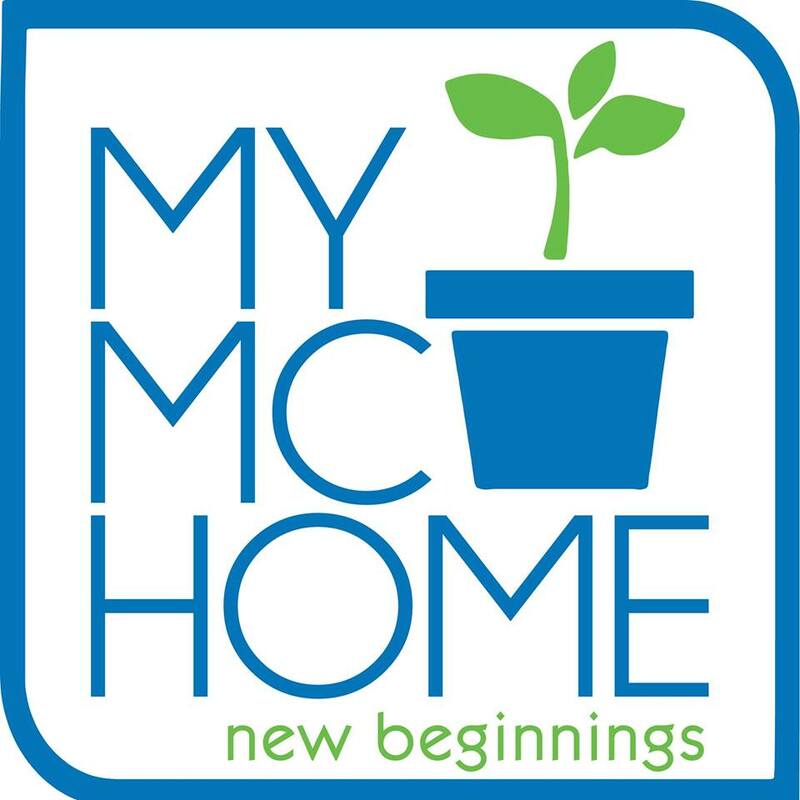 I'll share more about our health adventures on this blog so I’m accountable! Remember: Angle must be 45 degrees! Brush gently. Spit, do not rinse. Meanwhile, visit the Oral Health Center for more information on Colgate products and tips on proper oral care!